For Jackson, this was a totally legitimate fear about the house we just purchased. After all, belly buttons represented all that was currently terrifying in his world. So it made perfect sense that navels should figure in his misgivings about moving. While my husband and I could barely contain our excitement, my eight-year-old son was having nightmarish visions at the prospect of such major change. I say, “major” because although our home was not the only place he’d ever lived, it was the only one he remembered. And here were his trusted parents, pulling the rug out from under him, almost literally. When it comes to stressful life events, moving is up there with death and divorce. And no wonder. Even though kids aren’t the ones packing boxes and contacting utilities, it’s often the little people who feel the uncertainty and chaos of relocation most acutely. Not only do they have to adjust to a strange new bedroom, they may also be leaving behind the only school and community they’ve ever known. 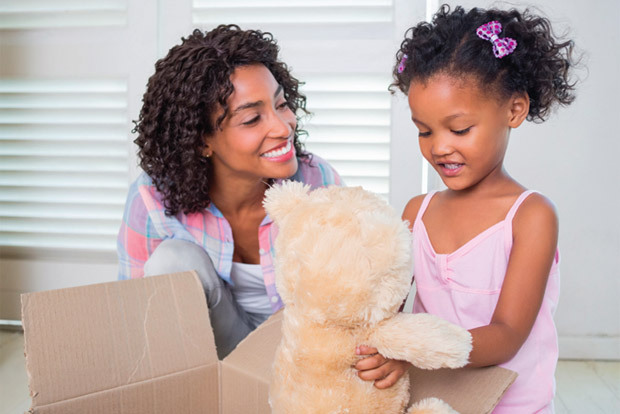 For kids who thrive on stability and predictability, moving can prove a downright traumatic experience that elicits a mixed bag of emotions: apprehension, eagerness, sorrow, dread, even resentment. A UK study from Warwick Medical School suggests that kids who switch schools frequently may experience “feelings of low self-esteem and a sense of social defeat” as well as mental health concerns later in life – particularly, adds another recent study, if the move occurs during early adolescence. That’s why it’s so crucial for grown-ups to stay upbeat and positive, says therapist and leading parenting educator, Alyson Schafer. Moving naturally makes kids feel insecure. They need reassurance about what the change will mean for them. Will I still see grandma? Will I go to the same school? Can I see my friends? Will the dog come, too? Even if kids don’t ask such questions outright, Schafer urges parents to address potential concerns to help children “feel a sense of control and to anticipate what will happen”. No two kids are alike, of course. While relocating can be tough on kids like Jackson, some remain utterly, pleasantly oblivious. Still, others appear resilient at the time, only to reel from the impact later on. In cases where separation necessitates the sale of the family home, such upheaval is exacerbated. When his parents broke up, six-year-old Aiden* was suddenly forced to adapt to two new homes, two distinct routines, and, ultimately, his parents’ respective new partners. Although Ottawa mom, Janet Morrison, did her best to help her son navigate the transition (showing him pictures of the new apartment and allowing him to decorate his new room), she wasn’t involved in his father’s move. Aside from clinging more to his stuffed animals before and immediately after the move, Aiden adapted easily to the transition – even better, joked his mom Janet, than her. “As long as he could play and have his belongings with him, he seemed to deal well with our move, whereas I would often feel sad and nostalgic.” At one point, Aiden even said, “Mom, it’s just a house,” reminding her that it’s not the physical structure that makes a home, but the people who live there. As our own move drew near, Jackson’s mounting anxiety grew alongside the sealed boxes, piled high in the living room. We rhymed off the virtues of the pad, and gushed at how his new bedroom was so much better than his current one. Twice we took him to visit our dream house, hoping some of our enthusiasm would rub off on him. Both times he refused to set foot past the sitting room, and buried himself in his iPad. The hard sell clearly wasn’t working, so we backed off. Sleepless nights followed, for all of us. Our collective anxiety spilled into the school day. Jackson was irritable. Any little trifle set him off. I explained our situation to his teacher so she would cut him some slack while he wrestled with difficult feelings. At home I made a concerted effort to listen more and talk less. I won’t lie; it was hard. When moving day finally rolled around, we were all relieved and deeply exhausted. One of the first things I did was put fresh sheets on Jackson’s bed, and hung familiar pictures on the bare walls of his room. See, I told him. All your stuff is here. I bought a new bin and organized his toys while Daddy put up his bookcase. By the end of the week Jackson was easing into the new digs and adjusting to the routine, which included a different route to school. Good, I thought – feeling worry seep out of me like a slowly deflating balloon – because I’m not moving again for another 20 years. Provide information to help kids anticipate what the new place will be like. Show them pictures and if possible, arrange a walk-through of the space. Explain how the week of the move will go. For example, will they be at a babysitter’s, or travel in the car with mom and dad? Allow children to pack (and unpack) a box of their favourite things so they feel a sense of control during the process. Set up their bedrooms first to give them time to settle in. Explain that it’s normal to feel upset and anxious during a move. Share any personal stories you may have from your own childhood moves. Emphasize the aspects of their lives that will remain the same. * Names changed by request. 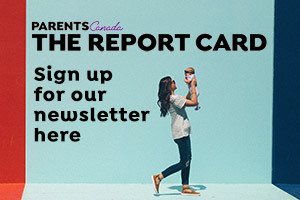 Originally published in ParentsCanada magazine, Summer 2017.